Tags: Audio interface for recording, Audio mixing equipment. The digital audio data inside your computer would be converted first to analog by the audio interface then it would be playback to your audio mixing console. The audio mixing engineer can then mix the analog audio signals using the console and apply important analog effects such as EQ, compression and reverb. Finally the final mix would either be bounced back to hard drive or in a DAT. 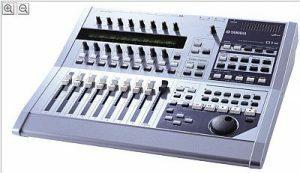 If you are using a mixer to do out of the box mixing, make sure it has adequate input channels and the mixing console has a good sound for audio mixing. OF course, this is not a small mixer. You need a large mixing console to do this (some could be very expensive like the Neve consoles). 3.) Buy in the city’s best recording shop for gears. You can also shop and buy in eBay, sweet water and other reputable stores. 4.) Quality is more important the price itself but not too much. I mean if you can afford and you get the quality you want, then go for it. Just do not exceed on buying the most expensive ones but the quality level is just the same. 5.) Check for the number of inputs, Xenyx 502 got 5 inputs (mono), and it is enough for me. The higher the number of inputs the better, but buy only something you need. If you buy many inputs but you use only one most your time. It is wasted. Mixing out of the box or tracking with a mixing console definitely requires a high number of inputs (16-channels or even more). 6.) Check for warranty.Make sure your product is protected by warranty in case of early damage. b. Record sound while I can monitor using a lot of headphones. 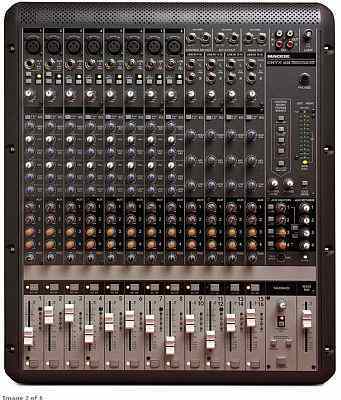 This implies that if you are planning to use your mixer for a wide variety of applications, it make sense to buy a fully featured or big mixing console. 8. You should fully understand the manual first before buying anything, to measure its applicability. As a fan of your website, I learn a lot from reading; I want to buy a mixer with firewire to use with Adobe Audition. My choice is to these two: Yamaha’s 01X and Mackie Onyx 1620. Results: Browsing through the results, there are only a few users that successfully confirmed Yamaha 01x working well with Adobe Audition. One particular result such as this reported as having successfully integrate Yamaha 01x with Adobe Audition 3 with no real problems. Although the user pointed out that Adobe Audition recognizes that mixer as “Mackie”. However, you can see a lot of successful users of Mackie Onyx 1620 using along with Adobe Audition. This link also shows another user that successfully integrates the Mackie Mixer with Adobe Audition. Conclusion: With so many users reporting successful integration of Mackie Onyx 1620 mixer with Adobe Audition- Mackie Onyx 1620 mixer wins the compatibility factor. And even the official Yamaha page. This makes it hard to purchase this product. I cannot even see it in Amazon and eBay as well as in the Musician friend search page for Yamaha. 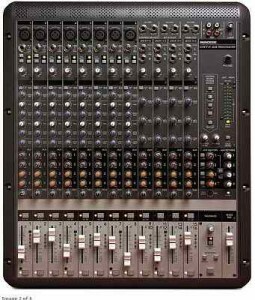 However for Mackie Onyx 1620i Firewire recording mixer, you can buy it at $821.66 for new and around $550 dollars for used product. Conclusion: Mackie Onyx 1620i wins in terms of price and availability. Data are estimates, values can change in time. Conclusion: Mackie Onyx 1620 does have a lot of citations which means it has a lot of users in the audio recording community compared to Yamaha 01X. This makes it possible for you to easily find a support whether it will be in the forum or any audio forum websites. Note before you buy: You need to read the specs and manual thoroughly and carefully, as it offers useful information whether the number of channels are right for you, or if those softwares included and outputs are compatible with your operating system. It also gives you a glimpse whether the mixer is actually the right one for your recording environment aside from those 3 factors evaluated previously. You can read the specs of Mackie Onyx 1620 here. 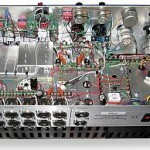 What is analog summing mixer comparing it to digital?